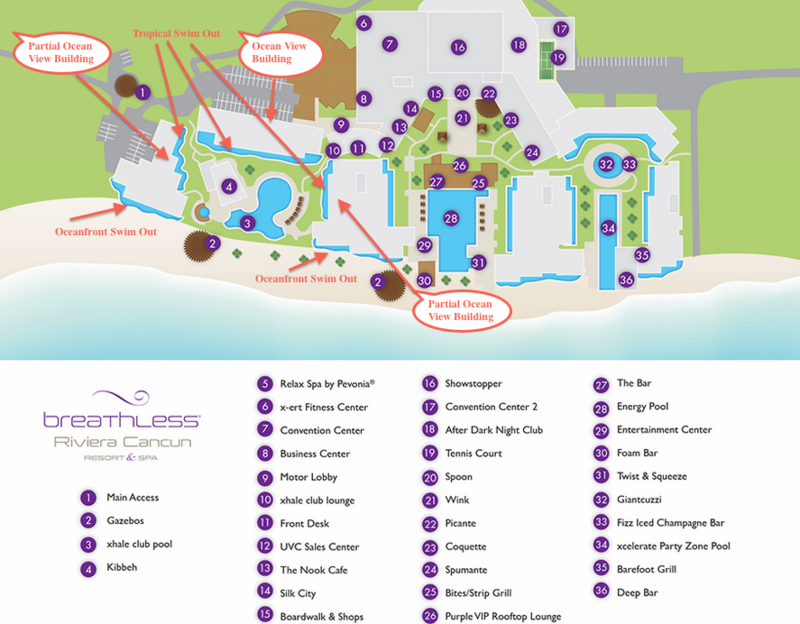 I am very excited that I've been asked to coordinate travel arrangements for John's Bachelor Party at the brand new, luxury, adults only all-inclusive Breathless Riviera Cancun! I personally just returned from this amazing resort, and I think you will be blown away! Click HERE to view pictures. I have recommended that all of John's bachelor party guests stay in the XHale section of the resort. This is an exclusive section which includes upgraded amenities, it's own gorgeous oceanfront infinity pool and huge jacuzzi, pool concierge and gourmet restaurant serving a la carte breakfast, lunch and dinner (NO buffets!) Definitely for the more discriminating traveler! Guests staying and enjoying the serenity and privilege of the XHale section have the best of both worlds...just a short stroll over to experience the live DJ mixing it up at the "party zone pool", or socializing in the main pool area with swim-up bar! Enjoy free Wi-Fi and free international calling to the US, Canada and Mexico with Unlimited Connectivity. The mobile app also allows you to view the schedules of all events, activities and restaurants at the resort, plus to learn about local destinations, excursions, and much more! I offer competitive pricing for hotel/transfer packages or hotel/transfer/air packages, that will be booked through Apple Vacations. However, if you happen to find a better price than what is quoted to you, please allow Play Your Way Travel to match the price, in order for your reservation to be considered part of the bachelor party group. I strongly encourage you to make a deposit on your package as soon as possible, as availability cannot be guaranteed until your deposit is received. There are several luxurious suite categories to choose from in Breathless Riviera Cancun's XHale section, however there is already limited availability. SINGLE OCCUPANCY is extremely reasonable if you would prefer to not share a room. There are several suites which have a double bed scenario, if you prefer to share with another guest.